Today Stonehenge was opened at 5.45am when it was deemed light enough to safely allow people into the field. THOUSANDS of revellers have gathered at Stonehenge in Wiltshire to celebrate the arrival of summer and the year’s longest day, in a ritual that dates back thousands of years. About 9,500 people were at the Neolithic monument to greet the start of the longest day of the year, according to Wiltshire Police. The sun appeared behind the Heel Stone at 04:52 BST to cheering and applause from the crowd. As with last year’s event, Wiltshire Police confirmed it had stepped up security with armed police on patrol. Although thousands attended the solstice, the force said 3,500 fewer people came to watch the sunrise compared with 2017. Supt Dave Minty, Wiltshire Police’s overnight commander, said behaviour at the stones was “brilliant”, with no arrests made. “The sunrise was amazing, and we don’t see many of those,” he added. On the summer solstice, the sun rises behind the Heel Stone, the ancient entrance to the stone circle, and sunlight is channelled into the centre of the monument. It is believed that solstices have been celebrated at Stonehenge for thousands of years. 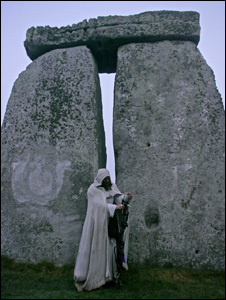 The site holds special significance for members of the Druid and Pagan community, who perform rituals and celebrations at the summer and winter solstices. Stonehenge Summer Solstice Celebrations: 2018 Open Access Arrangements. English Heritage are pleased to provide free Managed Open Access to Stonehenge for the Summer Solstice 2018 and ask that if you are planning to join the celebrations for this peaceful and special occasion that you follow these Conditions of Entry. These are written to ensure enjoyment and safety for everyone attending summer solstice at Stonehenge. Stonehenge is an ancient prehistoric site which has been a place of worship and celebration at the time of Summer Solstice for thousands of years. This important site is seen by many as a sacred site – if you are planning to visit for summer solstice we ask that you please respect the stones and each other. The Solstice Car Park opens at 19:00hrs on 20th June 2018 with last admissions at 06:00hrs (or when full if earlier) on 21st June. The car park will close at 12.00 noon on 21st June. Admission to the Summer Solstice at Stonehenge is free of charge. We strongly recommend travelling by public transport or arranging to car share with friends. You can also request or offer a lift to Stonehenge by following this link. Stonehenge is in a field on Salisbury Plain and the weather in June can be cold and may be wet and windy. Even if it isn’t raining, the ground will be wet from the dew. There may also be frost. Please note to reduce risk to those attending and to the monument itself, alcohol is not allowed in the monument field during summer solstice. Parking for the Summer Solstice is very limited and English Heritage cannot guarantee that you will be able to park near to Stonehenge. If you are planning to travel by car, wherever you park there may be a 30 minute walk to the Monument. We strongly recommend car sharing or using public transport. 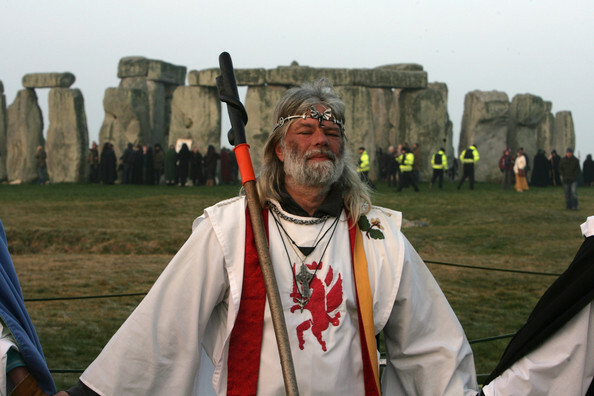 Organised Solstice Tours – If you are considering visiting Stonehenge for the Solstice celebrations you can even join an organised tour. Use a reputable tour operator who respect the conditions. Stonehenge Guided Tours are the longest established company and offer guided tours and transport from London and Solstice Events offer small group Summer Solstice Tours from Bath using local expert guides. There is a parking charge of £15 per car, live-in vehicle and non-commericial minibus (up to 19 seats) at Stonehenge during Summer Solstice. English Heritage cannot guarantee entry to the car parks and recommend coming by public transport as cars will be turned away when the car parks are full. Please note parking charges apply. Further details, and information to help you plan your journey, including details of local accommodation providers, will be published on these pages shortly, along with other helpful advice for summer solstice. Visiting Stonehenge this year for the 2018 Solstice Celebrations? Follow @St0nehenge @EH_Stonehenge @VisitStonehenge @HighwaysEngland and @Wiltshirepolice @Stonehenge_King for #summersolstice updates on the night. Was Stonehenge constructed as part of a fertility cult? Professor Terance Meade of said Wiltshire-based Stonehenge’s ancient builders create a ‘play without words’ in which one stone in particular cast a growing phallic-shaped shadow. Stonehenge was built to cast phallic-shaped shadows during Midsummer and was part of a fertility cult, a new study claims. Professor Terance Meade said Stonehege’s ancient builders create a ‘play without words’ in which one stone in particular cast a growing phallic-shaped shadow. The shadow would penetrate the egg-shaped monument before hitting a central ‘female’ stone — symbolising fertility. Professor Meaden examined nearly 20 stone circle across Britain – including one at Avebury – and filmed their changing silhouettes at sunrise on ritually important days throughout the year. He said the shape of the monuments at Stonehenge allow the same ‘play without words’ to reoccur at significant dates in the Neolithic farming calendar. ‘My basic discovery is that many stone circles were built at a time of a fertility religion, and that stones were positioned such that at sunrise on auspicious dates of the year phallic shadows would be cast from a male-symbolic stone to a waiting female-symbolic stone,’ Prof Meaden told The Daily Telegraph. The archaeologist added that on certain days of clear sunrise, the shadow of the ‘externally sited’ phallic Heel Stone penetrates the great monument during the summer solstice before finally arriving at the recumbent Altar Stone — which is symbolically female. About 13,000 people watched the sunrise at Stonehenge on Wednesday morning, on the longest day of the year. The sun rose at the historic monument in Wiltshire at 04:52 BST. English Heritage opens the site up every year for the solstice, giving people a rare chance to get up close to the monument.